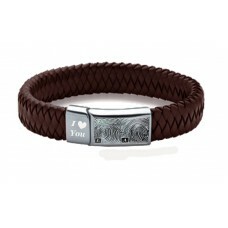 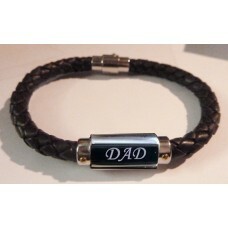 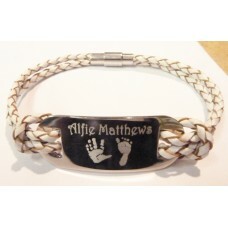 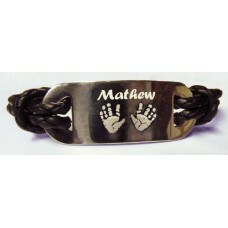 A genuine engraved Tribal, twisted brown leather and stainless steel unisex bracelet (if unsure of .. 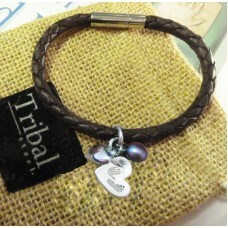 This is a beautiful Fine Silver hand foot charm on a brown leather bracelet, each charm is made from.. 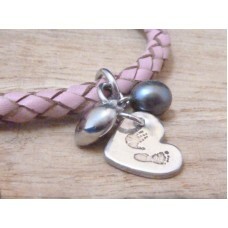 This is a beautiful Fine Silver hand foot charm on a leather bracelet, each charm is ..